North East Manchester Hawks took home an amazing four gongs over two awards ceremonies last week. Hawks were crowned Club-of-the-Year at the Rochdale Sports Awards. The same event saw Susan Whitehead named Volunteer-of-the-Year. 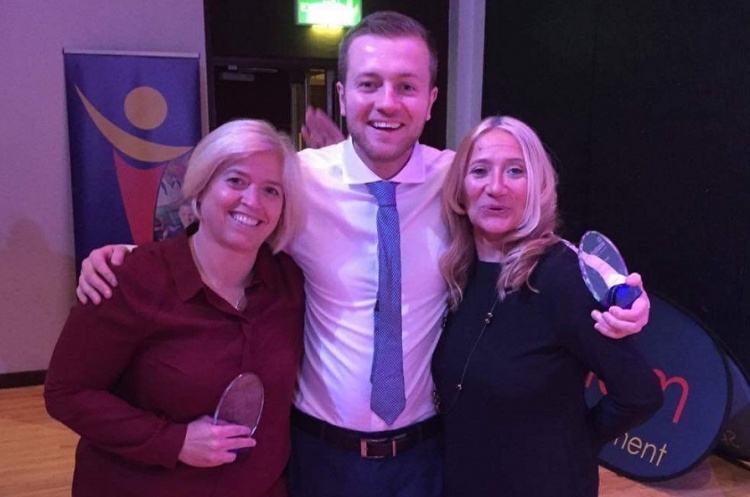 GB international Stefan Whaley took the Sports Achiever of the Year at the Oldham Sports Awards, while Coach-of-the-Year went to Hawks’ Donna Hankinson. Hawks narrowly missed out on picking up successive Club-of-the-Year awards. Club Manager Susan was stunned to win Volunteer-of the-Year. She said she was honoured to receive such recognition, both for her individually, and for the club as a whole. She said: “These prizes are for the parents and athletes who continue to go above and beyond to make this club a family." On receiving her Coach-of-the-Year Award Head coach Donna praised how far Hawks young squads had come in such a short period of time. She added the award said more about the club than her own personal achievements. Stefan, who received his award from Olympic gold medal hockey player Nicola White, was quick to thank his coaches and teammates for the roles they have played in his development and success. Hawks’s successes means they have four chances to win at the Greater Manchester Sports awards in November. Susan is ecstatic, commenting: "This means we've raised the profile again of Hawks and handball within our local communities. “The fact that the sport of handball will be mentioned four times at such a prestigious awards ceremony is nothing but good publicity for the sport. “It reminds everyone that handball is the true legacy sport of London 2012."